It is not often I feel homesick for the land of my childhood, but a night out at The Lucky Tsotsi Shebeen in Darlinghurst had me reminiscing about the past and I was suddenly pleased we were going to South Africa on holiday later this year. In fact, we enjoyed it so much, we were back a week later dragging our English and Australian friends with us for a taste of Southern Africa. 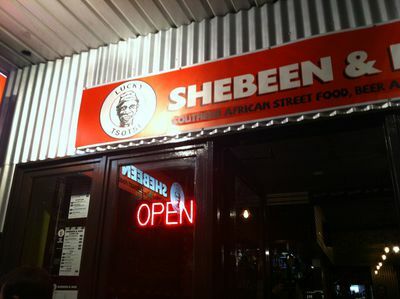 This is not an "African" restaurant in the traditional sense. Instead, it would feel quite at home in the more upmarket parts of Johannesburg, with its modern, urban take on South African food. Yes, it feels quintessentially South African. It probably helps that it is jammed packed with South African accents, but the decor and cheeky attitude of the place is bang on, too. The menu is not huge, but designed for sharing and everything feels authentic, tastes delicious and is well presented. A word of warning, this is not a place to come if you sway towards vegetarianism. Meat, meat and prawns are the order of the day. Starters include a gorgeous and spicy chicken livers peri-peri, crisp and scrumptious samoosa's- Durban style, fall off the bone chicken wings, snails (apparently delicious, but not for me) and LM prawns. 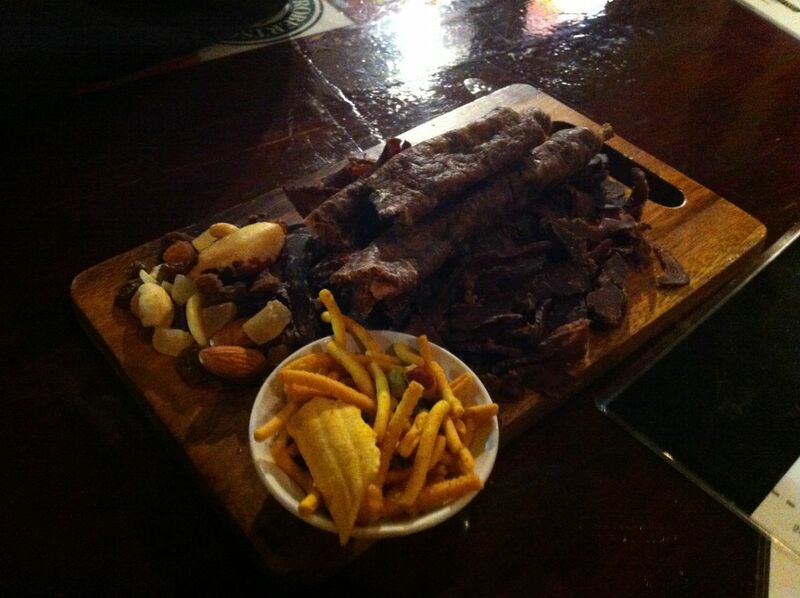 If you're just there for a drink (South African beers and Ciders gave my other half cause to smile), try Oom Karels African Platter - biltong, dry wors and doodlenuts. 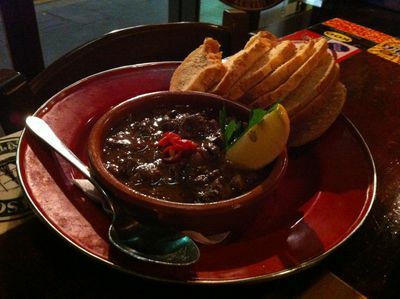 The mains are equally yummy, whether you have the prawns and spicy rice or the BBQ ribs. A hit with our table was the BakGat Bunny Chow (curry inside of cob of bread). Lucky's have improved on the original here, traditionally served in a half loaf of cheap white bread which goes soggy pretty quickly. The cob works better. 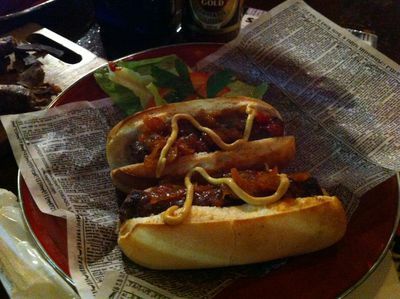 The Jo-Burger Sliders (Boerewors Rolls) are tasty, too. For dessert lovers looking for a taste of Southern Africa, Lucky's offer a Melktert, Koeksisters and Dom Pedros. We finished the night with Springboks (double layer shooters of Peppermint Liquor and Baileys), and can't wait to go back. Why? Experience a little slice of South African food and drink.